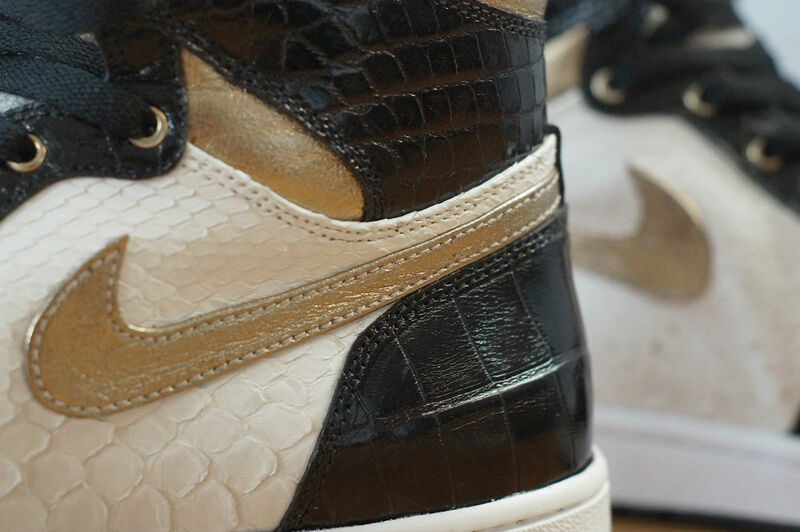 JBF Customs crushes another pair. 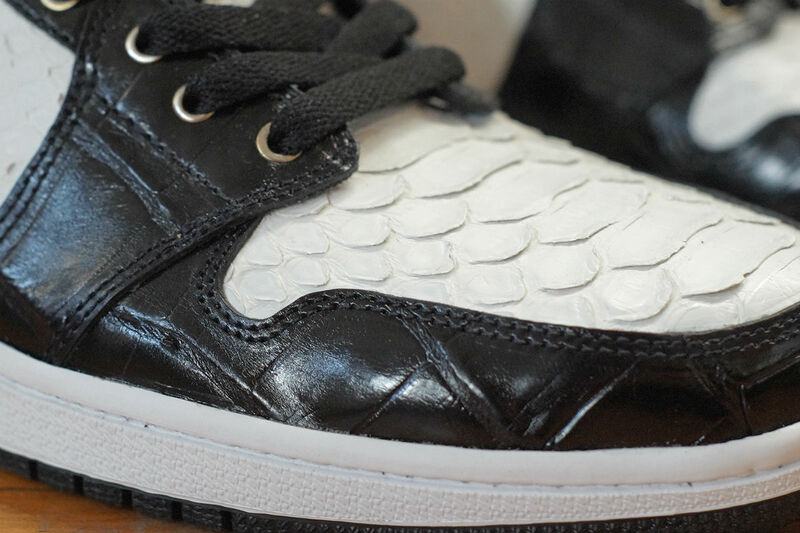 Continuing to challenge the status quo, Jake Ferrato of JBF Customs presents another premium Air Jordan 1 reconstruction, but in a never-before-seen colorway. 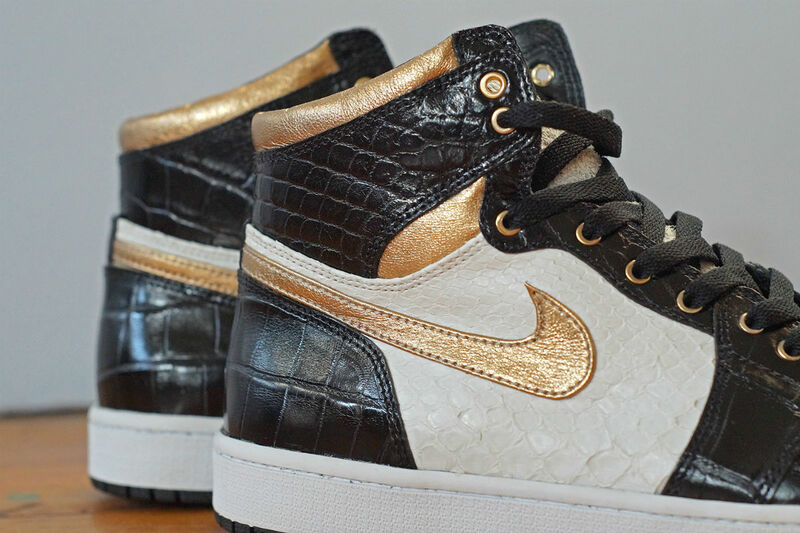 Fulfilling a customer order, Ferrato rebuilt the iconic model in white python and black gator, with metallic gold leather detailing throughout. He also set bronze metal eyelets in place of the usual holes for an added touch of luxury. 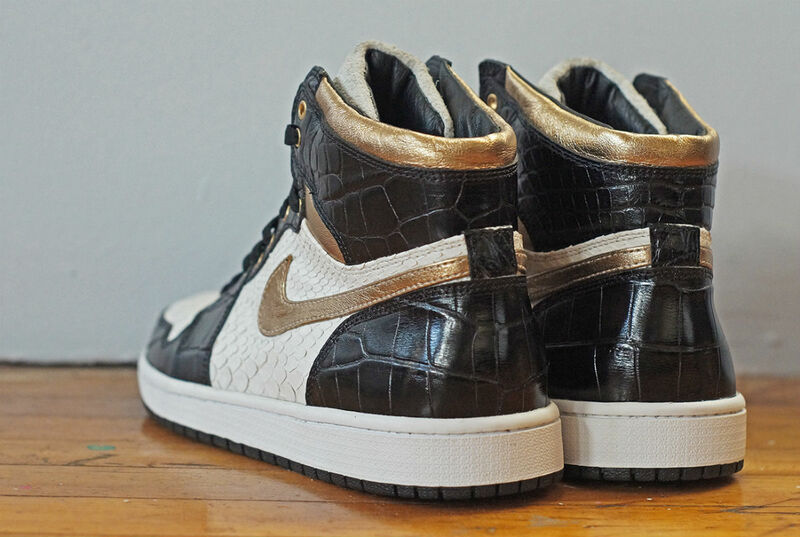 This pair obviously wasn't mass produced, but you can make inquiries for your own designs now at jbfcustoms.com.